Surfing the Web…with your voice? By now you will probably be familiar with voice search software. Whether it’s Google Voice Search, Microsoft’s Cortana or Apple’s Siri, voice activated products and searches seem to have come out of nowhere and hit the world like a storm. When voice searching first started being implemented on a large scale back in 2015, that year saw the rate of voice searching jump globally from zero to 10%, a statistic that equals roughly 50 billion searches a month! More than half of teens (13-18) use voice search daily and Google has found 20% of all searches made in 2016 had voice intent. Voice searching seems to have become a popular medium for getting the information you need when you want it for several reasons. Firstly the process of searching is easy, quick and instant. Rather than looking up spellings for certain products/pieces of information, you simply say what you want or what you want to know, and the result is instant and concise, giving you exactly what you need without having to scroll through pages of text. One key factor in the growing success of the voice search is the success of the smart device in the 21st Century. Smart phones and tablets, due to their portable and compact nature, have lent themselves to the voice search and it is primarily on these devices that voice searches like Apple’s Siri and Samsung’s S Voice where developed. When you’re out and about, it’s far easier to simply ask a question to your portable smart device than try and type in the search, especially on small screens. Also, in line with the age old glamour of having a personal assistant, the arrival of the smart home device has also boosted the appeal and use of voice searching. Amazon’s Alexa and Google’s Google Home are proving immensely popular devices with Amazon selling over 4.4 million Echo/Alexa units in its first full year of sales alone and 43% of voice search users revealed their primary use for voice searching was for the home. With the frantic pace at which people are frequently living their lives, combined with new technological innovations and the rise of the smart device, it seems the voice search is not only here to stay but expected to thrive in the years to come. Google Voice Search has been around a number of years now, however it is in the last year that it has truly become the software it was meant to be. 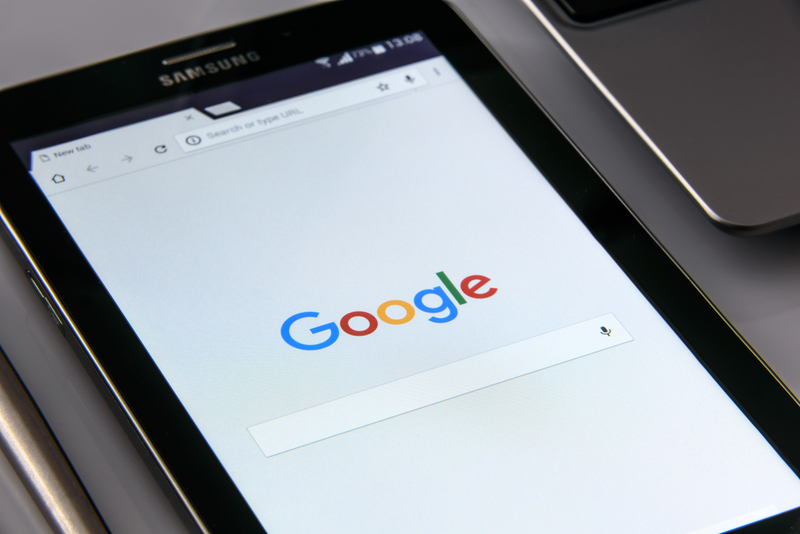 With the implementation of the Hummingbird update, Google’s Voice Search has now become far more accurate and connected to other Google apps/services. This has meant that Google Voice Search now emphasises the implied meaning of searches as well as the direct. This means that Google Voice Search has the edge on its competitors in terms of accuracy in understanding and providing information for users in combination with services like YouTube and Google Maps. In terms of device, Google Voice Search is available on Android devices as well as the purely voice focused Google Home. The Google Home is a bit of a late runner compared to its major competitor in home voice devices, the Amazon Echo, and, because of this, it is somewhat lagging behind. Whilst the Google Home does have the benefit of providing more accurate/a larger amount of information due to Google Voice Search, the device itself has been criticised for its sound quality and the number of in-home functions it has compared to the Amazon Echo. Whilst the device is certainly functional, with a higher price tag (£129) and lesser quality than the Amazon Echo, the sales of Google Home are significantly less than its major competitor. Google has sought to make amends for this short-falling with the release of the smaller, cheaper Google Home Mini, however this too seems to be somewhat too late to the market when compared to its Amazon equivalent, the Echo Dot, which was released a whole year before the Home Mini. The Amazon Echo, which incorporates the voice assistant known as Alexa, is the most popular brand of voice control device. It has been predicted that the Echo-branded speakers will have 70.6% share of all voice-enabled speaker devices in the U.S.A this year, a huge margin which is way ahead of Google Home’s 23.8% with 5% making up the hunting pack. Whilst Amazon lacks a phone or computer equivalent of the Echo, like Google and Apple do, it seems the company has made the home voice-enabled speaker device their own niche in the market. 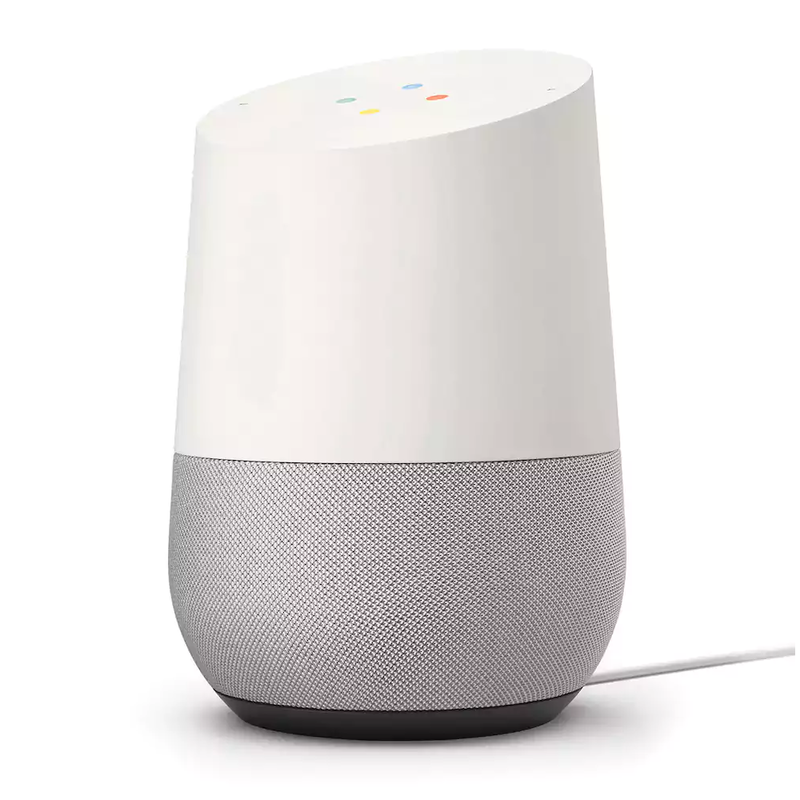 Having been released nearly two years in advance of the Google Home, this cheaper device (£89.99), with better sound quality and flexibility in the home, has hit the voice activated device market like a storm and looks set to continue on this trend with further updates such as the Amazon Echo Plus in the future. The chief reasons why home devices are bought in the first place are their ability to play music and connect to other home devices like TVs, speakers and telephones (Quartz Media). In these aspects the Amazon Echo certainly outperforms the Google Home and the recent Apple HomePod, and it is undoubtedly this quality, as well as being the first of its kind, which has seen the Amazon Echo’s popularity continue to rise. 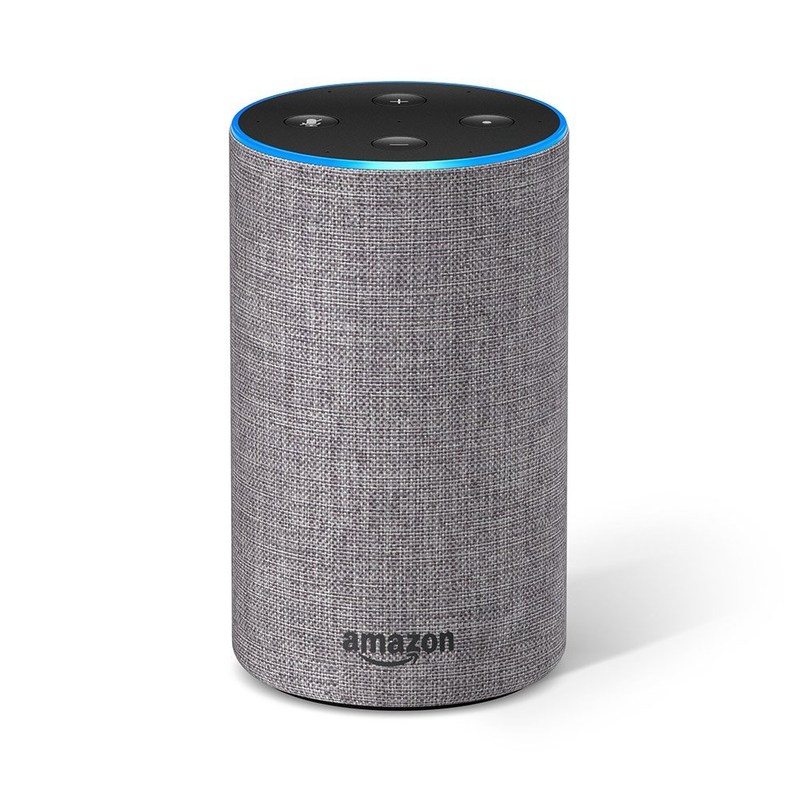 Perhaps the major short-fallings for the Amazon Echo are that it does not have a mobile or desktop platform or access to a huge search engine database like Google. Amazon does have the advantage of being directly connected to its store page for purchasing, however it will never match Google’s monopoly on the search engine industry. Whilst the lack of a mobile or desktop platform may seem like a serious setback, third party products, such as Sono’s recently released Sono One voice-enabled speaker device, are beginning to use Amazon’s Alexa voice assistant and there is certainly more scope for Amazon’s voice search capabilities. Siri has been a feature on Apple’s iPhones since their release. Whilst Siri has enjoyed popularity simply due to Apple’s devices’ popularity, compared to some of the innovations made by Google and Amazon, Apple’s voice activated search is lagging behind. One problem with Siri is that it has never been marketed by Apple as its own major selling point. The voice activated search has always been an additional extra included in Apple products rather than the centre of its own brand. This has resulted in a search device which is far less accurate and sophisticated than Google’s Voice Search and less marketable or useful than Amazon’s Echo range. Only this year has Apple decided to compete on the home voice/ speaker device stage. The Apple HomePod will not be released until late 2018 and this has meant that it has already been eclipsed by Amazon’s Echo and the Google Home. 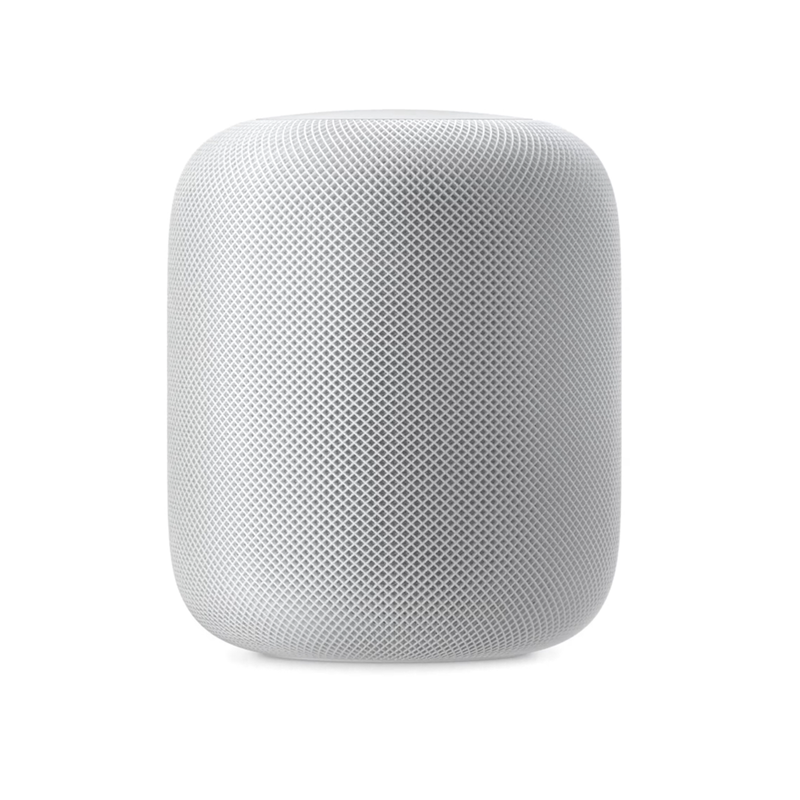 With the hefty price tag of approximately £259, the HomePod is most likely to be overlooked when consumers look for a voice activated speaker device. Whilst Apple is trying to market the product as a home hub for all Apple devices, and especially focusing on its potential as a major music source for the home, the lack of search sophistication, flexibility and late release date may see the HomePod become a novelty which will not last. Most people familiar with any Window’s product or Microsoft hardware released in the last few years will be familiar with Cortana. This simple voice activated search device has been a feature on Windows Phones, Xbox’s and Windows 10 designed to provide easy access to the devices and software. Like Apple’s Siri, Cortana has not been marketed as a product on its own or a major part of the Microsoft experience, but simply an additional benefit included in Microsoft’s products. Arguably the most flexible of the voice search assistants due to the widespread use of Microsoft products in and out of the household, Cortana still has limitations in accuracy and scope for wider projects like a voice/speaker device for the home. However, Microsoft is not blind to the potential Cortana has in the future. Already announcements have been made by Microsoft that they are developing a home device like Google Home and Amazon Echo for Cortana to function on and are looking into implementing the voice search on third party products as well. Voice searching is not just about answering that nagging question on your mind or listening to your favourite song. There are plenty of ways to implement the technology within existing SEO as well as means previously unrelated to search engines. The biggest and most popular application for voice searching is simply use of the voice searching in standard search methods. These include Google, Bing, Siri and other search engines already in use, and voice search development was primarily by search engine and software providers to function alongside their existing engines in order to improve user experience for reasons explained above. As stated, the voice element plays into the growing use of portable devices, encouraging people to search ‘on-the-go’ rather than waiting to get home to properly look up something on the computer, especially if they are in the middle of the daily commute. 25% of 16-24s use voice search on their mobile devices every month and Google has stated 20% of searches on mobile devices were voice searches. Voice searching devices have a multitude of uses in this capacity, enabling you to order your favourite product regularly, compile and order shopping lists, make notes on, put together your ideal playlist and even look for the best deal on the internet. The voice search makes life quick, instant and easier; three things which are proving increasingly necessary in today’s modern world. As we have seen with the advent of the home voice device, it’s not just computers, phones and tablets which are adopting the voice search. Smart TV’s, such as those produced by Samsung, as well as TV devices like Amazon’s Firestick, are already incorporating voice search technology, making it easier to find programmes and films in an instant as well as allowing for internet browsing on the TV. In a similar line, games consoles like the PS4 and Xbox One, have been implementing voice software alongside search engines for quite a while now making the devices not just a gaming platform but a fully multimedia stage to surf the internet, listen to music or watch TV on. Finally, we could even see controlled cars in the future. Although still in its early stages Hyundai announced this year it would be teaming up with Google to install voice control in their vehicles and Ford has also looked into introducing Amazon’s Alexa in their cars too. It is estimated by 2019 that the voice recognition market will be a $601 million industry and 50% of all searches will be done via voice searching by 2020. The way we are searching is changing and this change is primarily fuelled by the mobile device. It has now been identified that nearly 60% of searches are now performed on a mobile device and with the significant rise of mobile device use in the last decade, this is a figure not to be ignored. The SEO industry has started looking towards optimising this soon-to-be necessity of everyday life if they are to be successful in the future. Local search factors are all important. Being mainly mobile, voice searching needs to be optimised for locality. Mobile phones and other devices can now pinpoint where a user is and their surroundings. As users know this, they are likely to make a micro moment search on-the-go for local businesses and services (an estimated 22% of people search for local content and information), and this micro moment is likely to be a voice search as it is quick and easy to do. Therefore, providing the best on-the-go information is the key to optimising voice search technology for SEO companies and other businesses. Conversational search term volume is rising. It’s not just key words that SEO need to be looking out for but key phrases used in everyday speech. Mimicking how people actually speak and connecting this to search content may seem difficult but it is certainly the best way to provide voice search-friendly results. Compile a list of common questions and statements, the first steps towards optimising voice searching can be made. The key is to think how you as a person would go about searching for something and then implement this in your SEO strategy when concerning voices searches. Source: Searchengineland.com – Question phrases have increased by 61% – ‘who’ phrases have seen the largest voice search increase. Illustrate your FAQ content explosion to Google et al by marking up with Schema.org. Use http://schema.org/Question and http://schema.org/Answer for this. 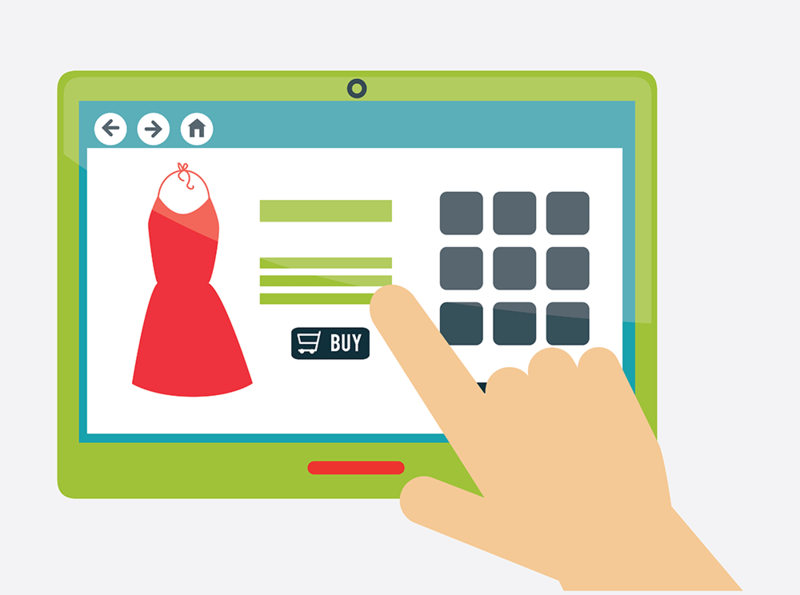 Ecommerce players need to prioritise Amazon marketplace just as much as search engine visibility. The simplest way to perhaps take advantage of the voice search revolution is to make sure your products/services are accessible via these mediums. If you have a product, make sure it’s on Amazon; if you have a service to provide, make sure you’re high on Google’s rankings. This way your product/service is far more likely to appear, and hence sell, on voice search devices. As we have already seen, these devices are only going to get more popular in the future so by implementing these changes you are guaranteeing your product’s/service’s exposure and success in the years to come.